The other day I was ‘listening‘ to my colleague. We were in the midst of a heated discussion, and it was her turn to share. I knew how to listen – I teach listening skills after all. I kept my mouth shut and allowed her to speak her piece…biding my time until I could jump in with my retort or, in my mind at least, my incredibly stronger argument. Believe it or not, this is not actually listening. This is the game we all play when we say we’re listening to someone, but as Michael Nichols shares, it’s not genuine. So often we’ll engage with someone, and every moment they’re talking, we’re hearing all that they’re saying through our own filters of what we already ‘know’ as truth, or what we want. Again, this isn’t listening. It isn’t listening when my colleague is telling me what really matters to her, and I already know she’s misguided. 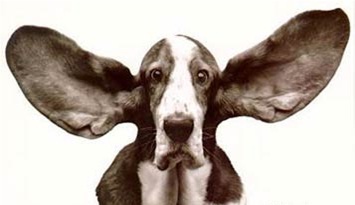 It isn’t listening when my direct report is sharing their reaction to a decision I’ve made, and I’m remembering how they messed up last time, or what I want or need from them. It isn’t listening when my ill father (or six year old son) is sharing something that’s important to them, and I’m only wanting them to be finished, so that I can move on to what I really need to do. Real listening is when I can stop all the voices in my mind – the voices that focus on what I need, want, know, and believe – and simply do my best to hear what’s being shared with me, as the person I’m with means me to hear it. It can be extremely difficult; as humans we’re wired to listen with one half of our mind and judge what’s being said with the other – but it’s also extremely rewarding when I can pull it off. Where are you listening only halfway? How could you truly listen and exist for the person with whom you’re conversing? For help in truly listening, contact Lisa at lkohn@chatsworthconsulting.com.